I decided to share these tips one more time. 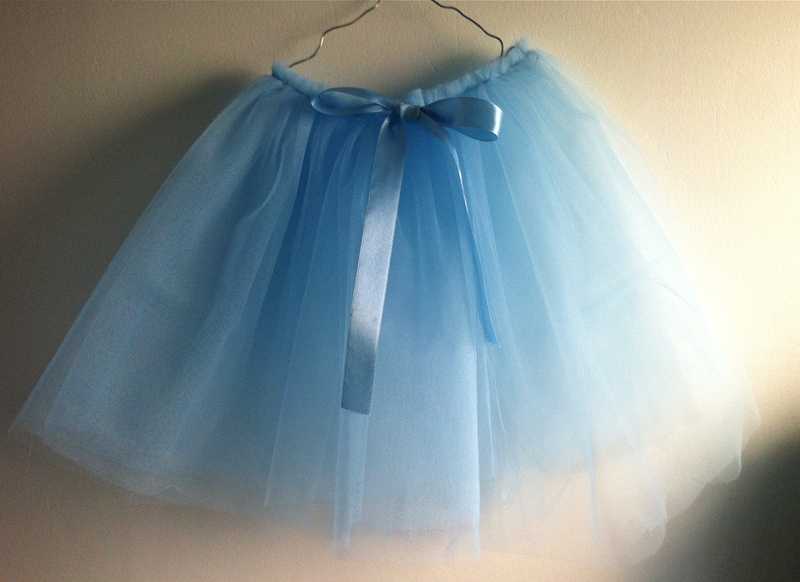 I think this is easy and quick way to make a simple tulle skirt. 1. First you need to measure your waist. Then multiply your waist measure by three or four. 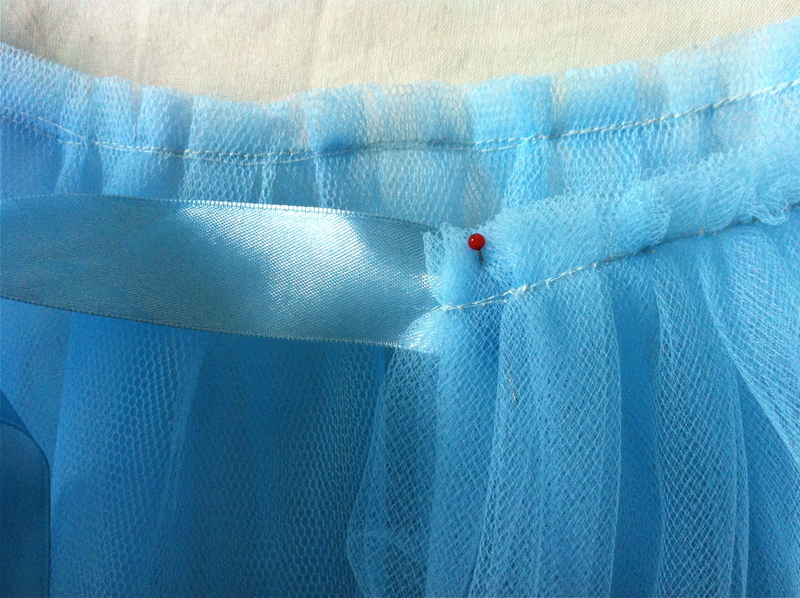 That´s the number how wide your tulle should be if you want your skirt to be really fluffy. 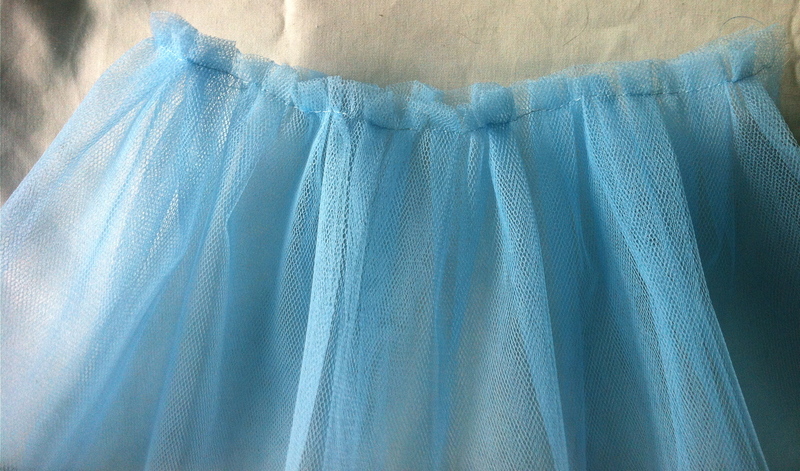 For example kids skirt waist measure is 52cm x 3 = 156cm (1,56 meters). So your tulle needs to be at least 1,6 meters wide. 2. 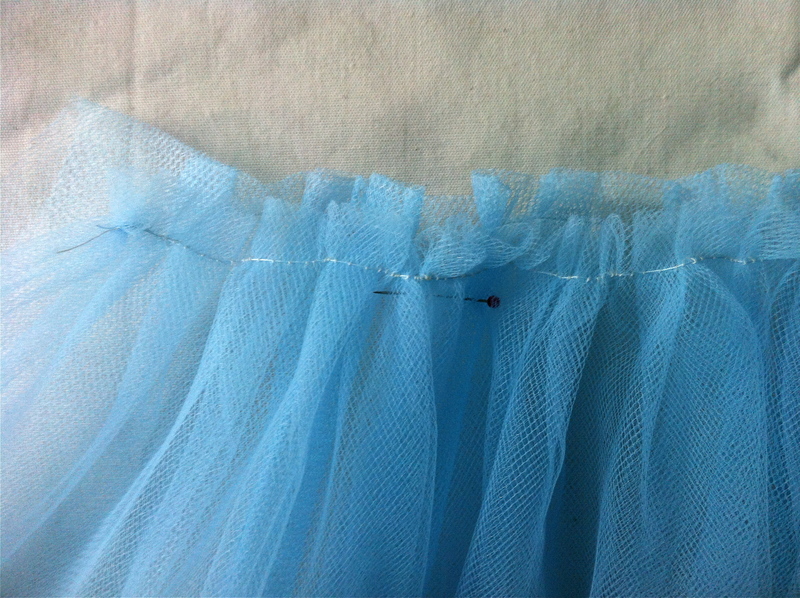 Next cut your tulle into single layers. In this skirt I used two layers of basic tulle and two layers of bridal tulle. Then it´s time to start pleading all the tulle layers like this. Leave 5-6 cm between each folding. 3. Now sew all the tulle layers one by one. 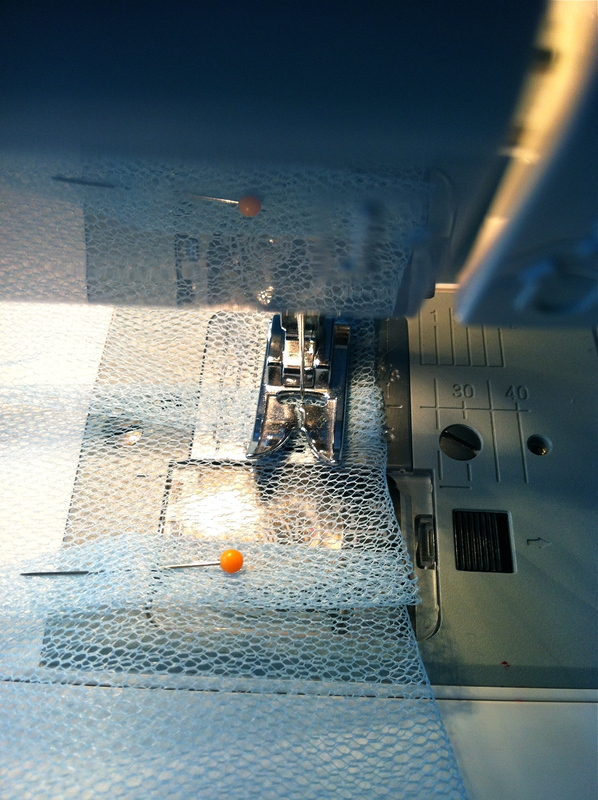 Use the widest stitch and leave the other end open. Don´t tight it off. 4. Gather it up by pulling the other string carefully. Do the same thing to all your tulle layers. 5. Now you should have all your tulle layers gathered up so you can sew all layers together. 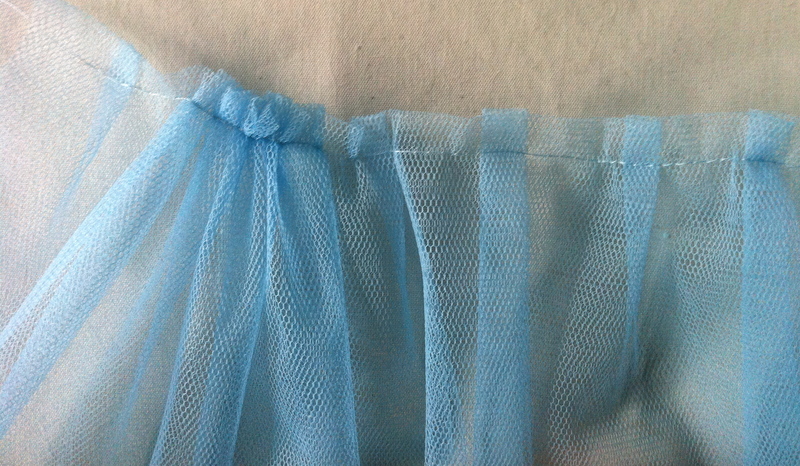 6.Now your tulle layers are all sewed together and it looks like a skirt. 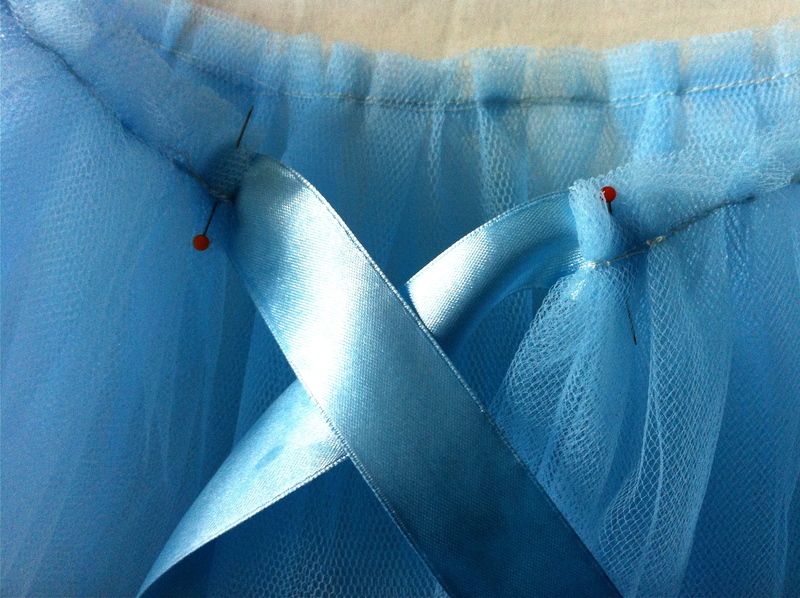 7.You´ll need two satin ribbons to finish the skirt. 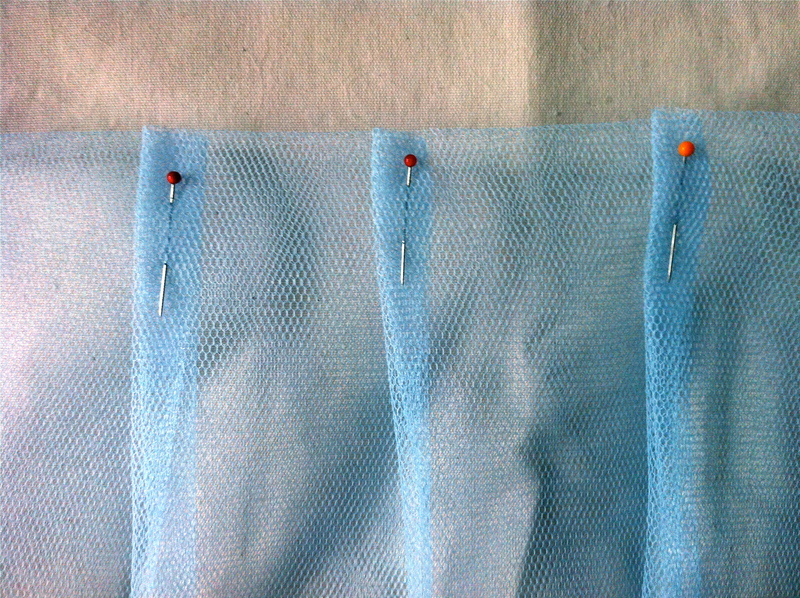 Sew one on each side of the skirt. Thank you! This is only one way to do it!